Szabó É.R., Cservenák M., Lutz T.A., Gévai L., Endrényi M., Simon L., Dobolyi A. (2016) Behavioral changes in mothers and maternally sensitized female mice. In press. Nardai S., Dobolyi A., Skopal J., Lakatos K., Merkely B., Nagy Z. (2016) Delayed Gelatinase Inhibition Induces Reticulon 4 Receptor Expression in the Peri-Infarct Cortex. Journal of Neuropath Exp Neur. In press. Völgyi K., Gulyássy P., Háden K., Badics K., Kis V., Kékesi K.A., Simor A., Györffy B., Tóth E.A., Lubec G., Juhász G., Dobolyi A. (2015) Synaptic mitochondria: A brain mitochondria cluster with a specific proteome. Proteomics. 120:142-157. Dobolyi A., Ostergaard E., Bagó A.G., Dóczi T., Palkovits M., Gál A., Molnár M.J., Ádám-Vizi V., Chinopoulos C. (2015) Exclusive neuronal expression of SUCLA2 in the human brain. Brain Struct. Funct. 220:135-151. Romanov R.A., Alpár A., Zhang M.D., Zeisel A., Calas A., Landry M., Fuszard M., Shirran S.L., Schnell R., Dobolyi A., Oláh M., Spence L., Mulder J., Martens H., Palkovits M., Uhlen M., Sitte H.H., Botting C.H., Wagner L., Linnarsson S., Hökfelt T., Harkany T. (2015) A secretagogin locus of the mammalian hypothalamus controls stress hormone release. EMBO J. 34:36-54. Kovács Z., Kékesi K.A., Juhász G., Dobolyi A. (2015) Modulatory effects of inosine, guanosine and uridine on lipopolysaccharide-evoked increase in spike-wave discharge activity in Wistar Albino Glaxo/Rijswijk rats. Brain Res Bull. 118:46-57. Pál I., Kardos J., Dobolyi A., Héja L. (2015) Appearance of fast astrocytic component in voltage-sensitive dye imaging of neural activity. Mol Brain. 8:35. Kovács Z., Kékesi K.A., Dobolyi A., Lakatos R., Juhász G. (2015) Absence epileptic activity changing effects of non-adenosine nucleoside inosine, guanosine and uridine in Wistar Albino Glaxo Rijswijk rats. Neuroscience 300:593-608. Nardai S., Dobolyi A., Pál G., Skopál J., Pintér N., Lakatos K., Merkely B., Nagy Z (2015) Selegiline promotes NOTCH_JAGGED signaling in astrocytes of the peri-infarct region and improves the functional integrity of the neurovascular unit in a rat model of focal ischemia. Neurol. Neurosci. 33:1-14. Dobolyi A., Bagó A.G., Gál A., Molnár M.J., Palkovits M., Adam-Vizi V., Chinopoulos C. (2015) Localization of SUCLA2 and SUCLG2 subunits of succinyl CoA ligase within the cerebral cortex suggests the absence of matrix substrate-level phosphorylation in glial cells of the human brain. Bioenerg. Biomembr. 47:33-41. Kovács Z., Kékesi K.A., Juhász G., Barna J., Héja L., Lakatos R., Dobolyi A. (2015) Non-adenosine nucleoside inosine, guanosine and uridine as promising antiepileptic drugs: a summary of current literature. Mini Rev. Med. Chem. 14:1033-1042. Pal G., Lovas G., Dobolyi A. (2014) Induction of transforming growth factor beta receptors following focal ischemia in the rat brain. PLoS One 9:e106544, 1-15. Dobolyi A., Grattan D.R., Stolzenberg D.S. (2014) Preoptic inputs and mechanisms that regulate maternal responsiveness. Neuroendocrinol. 26:627-640. Dobolyi A., Kékesi A.K., Juhász G., Székely A.D., Lovas G., Kovács Z. (2014) Receptors of peptides as therapeutic targets in epilepsy research. C Med. Chem. 21:764-787. Györffy B., Kovács Z., Gulyássy P., Simor A., Völgyi K., Orbán G., Baracskay P., Szabó Z., Janáky T., Dobolyi A., Juhász G., Czurkó A., Kékesi A.K. (2014) Brain protein expression changes in WAG/Rij rats, a genetic rat model of absence epilepsy after peripheral lipopolysaccharide treatment. Brain Behav. Immun. 35:86-95. Kovács Z., Kékesi A.K., Juhász G., Dobolyi A. (2014) The antiepileptic potential of nucleosides. Med. Chem. 21:788-821. Kovács Z., Dobolyi, Juhász G., Kékesi A.K. (2014) Lipopolysaccharide induced increase in seizure activity in two animal models of absence epilepsy WAG/Rij and GAERS rats and Long Evans rats. Brain Res Bull. 104:7-18. Cservenák M., Szabó É.R., Bodnár I., Lékó A., Palkovits M., Nagy G.M., Usdin T.B., Dobolyi A. (2013) Thalamic neuropeptide mediating the effects of nursing on lactation and maternal motivation. Psychoneuroendocrinology 38:3070-3084. Kovács Z., Slézia A., Bali Z.K., Kovács P., Dobolyi A., Szikra T., Hernádi I., Juhász G. (2013) Uridine modulates neuronal activity and inhibits spike-wave discharges of absence epileptic Long Evans and Wistar Albino Glaxo/Rijswijk rats. Brain Res Bull. 97:16-23. Kovács Z., Dobolyi A., Kékesi A.K., Juhász G., (2013) 5′-nucleotidases, nucleosides, and their distribution in the brain: pathological and therapeutic implications. Med. Chem. 20:4217-4240. Varga T., Mogyoródi B., Bagó A.G., Cservenák M., Domokos D., Renner E., Gallatz K., Usdin T.B., Palkovits M., Dobolyi A. (2012) Paralemniscal TIP39 is induced in rat dams and may participate in maternal functions. Brain Struct. Funct. 217:323-335. Szabó E.R., Cservenák M., Dobolyi A. (2012) Amylin is a novel neuropeptide with potential maternal functions. FASEB J. 26:272-281. Pál G., Vincze C., Renner É., Wappler E.A., Nagy Z., Lovas G., Dobolyi A. (2012) Time course, distribution and cell types of induction of transforming growth factor betas following middle cerebral artery occlusion in the rat brain. PLoS One 7(10):e46731. Héja L., Nyitrai G., Kékesi O., Dobolyi A., Szabó P., Fiáth R., Ulbert I., Pál-Szenthe B., Palkovits M., Kardos J. (2012) Astrocytes convert network excitation to tonic inhibition of neurons. BMC Biol. 10:26. Dobolyi A., Vincze C., Pál G., Lovas G. (2012) The neuroprotective functions of transforming growth factor beta proteins. J. Mol. Sci. 13:8219-8258. Renner , Puskás N., Dobolyi A., Palkovits M. (2012) Glucagon-like peptide-1 of brainstem origin activates dorsomedial hypothalamic neurons in satiated rats. Peptides 35:14-22. Dobolyi A. (2011) Novel potential regulators of maternal adaptations during lactation: tuberoinfundibular peptide 39 and amylin. Neuroendocrinol. 23:1002-1008. Dobolyi A., Kovács Z., Juhasz G., Kardos J. (2011) Uridine function in the central nervous system. Top. Med. Chem. 11:1058-1067. Molnár T., Dobolyi A., Nyitrai G., Barabás P., Héja L., Emri Z., Palkovits M., Kardos J. (2011) Calcium signals in the nucleus accumbens: Activation of astrocytes by ATP and succinate. BMC Neurosci. 12:96. Kovács Z., Juhasz G., Palkovits M., Dobolyi A., Kékesi K.A. (2011) Area, age and gender dependence of the nucleoside system in the brain: a review of current literature. Top. Med. Chem. 11:1012-1033. Cservenák M., Bodnár I., Usdin T.B., Palkovits M., Nagy G.M., Dobolyi A. (2010) Tuberoinfundibular peptide of 39 residues is activated during lactation and participates in the suckling-induced prolactin release. Endocrinology 151:5830-5840. Palkovits M., Usdin T.B., Makara G.B., Dobolyi A. (2010) Tuberoinfundibular peptide of 39 residues-immunoreactive fibers in the zona incerta and the supraoptic decussations terminate in the neuroendocrine hypothalamus. Res. 35:2078-2085. Vincze C., Pál G., Wappler E.A., Szabó É.R., Nagy Z., Lovas G., Dobolyi A. (2010) Transforming growth factor beta isoforms in the intact rat brain and following experimentally induced focal ischemia. Comp. Neurol. 518:3752-3770. Dobolyi A., Palkovits M., Usdin T.B. (2010) The TIP39-PTH2 receptor system: unique peptidergic cell groups in the brainstem and their interactions with central regulatory mechanisms. Neurobiol. 90:29-59. Kovács Z., Dobolyi A., Kékesi A.K., Juhász G. (2010) Nucleoside map of the human central nervous system. Res. 35:452-464. Renner E., Szabó-Meltzer K.I., Puskás N., Tóth Z.E, Dobolyi A., Palkovits M. (2010) Activation of neurons in the hypothalamic dorsomedial nucleus via hypothalamic projections of the nucleus of the solitary tract following refeeding of fasted rats. J. Neurosci. 31:302-314. Kovács Z., Dobolyi A., Juhász G., Bobest M., Papp V., Takáts L., Kékesi A.K. (2010) Gender- and age-dependent changes in nucleoside levels in the cerebral cortex and white matter of the human brain. Brain Res. Bull. 81:579-584. Dobolyi A. (2009) Central amylin expression and its induction in rat dams. Neurochem. 111:1490-1500. Bagó A.G., Dimitrov E., Saunders R., Seress L., Palkovits M., Usdin T.B., Dobolyi A. (2009) Parathyroid hormone 2 receptor and its endogenous ligand tuberoinfundibular peptide of 39 residues are concentrated in endocrine, viscerosensory and auditory brain regions in macaque and human. Neuroscience 162:128-147. Héja L., Barabás P., Nyitrai G., Kékesi K.A., Lasztóczi B., Toke O., Tárkányi G., Madsen K., Schousboe A., Dobolyi A., Palkovits M., Kardos J. (2009) Glutamate uptake triggers transporter-mediated GABA release from astrocytes. PLoS One 4:e7153, 1-12. Palkovits M., Helfferich F., Dobolyi A., Usdin T.B. (2009) Acoustic stress activates tuberoinfundibular peptide of 39 residues neurons in the rat brain. Brain Struct. Funct. 214:15-23. Varga T., Palkovits M., Usdin, T.B., Dobolyi A. (2008) The medial paralemniscal nucleus and its afferent neuronal connections in rat. Comp. Neurol. 511:221-237. Fegley D.B., Holmes A., Riordan T., Faber C.A., Weiss J.R., Ma S., Batkai S., Pacher P., Dobolyi A., Murphy A., Sleeman M.W., Usdin T.B. (2008) Increased fear- and stress-related anxiety-like behavior in mice lacking tuberoinfundibular peptide of 39 residues. Genes Brain Behav. 7:933-942. Brenner D., Bagó A.G., Gallatz K., Palkovits M., Usdin T.B., Dobolyi A. (2008) Tuberoinfundibular peptide of 39 residues in the embryonic and early postnatal rat brain. Chem. Neuranat. 36:59-68. Dobolyi A., Palkovits M. (2008) Expression of latent transforming growth factor beta binding proteins in the rat brain. Comp. Neurol. 507:1393-1408. Faber C.A., Dobolyi A., Sleeman M., Usdin T.B. (2007) Distribution of tuberoinfundibular peptide of 39 residues and its receptor, parathyroid hormone 2 receptor, in the mouse brain. Comp. Neurol. 502:563-583. Wang J., Palkovits M., Usdin T.B., Dobolyi A. (2006) Forebrain projections of tuberoinfundibular peptide of 39 residues (TIP39)-containing subparafascicular neurons. Neuroscience 138:1245-1263. Wang J., Palkovits M., Usdin T.B., Dobolyi A. (2006) Afferent connections of the subparafascicular area in rat. Neuroscience 138:197-220. Dobolyi A., Wang J., Irwin S., Usdin T.B (2006) Postnatal development and gender-dependent expression of TIP39 in the rat brain. Comp. Neurol. 498:375-389. Dobolyi A., Irwin S., Wang J., Usdin T.B. (2006) The distribution and neurochemistry of the parathyroid hormone 2 receptor in the rat hypothalamus. Res. 31:227-236. Kékesi K.A., Kovács Z., Szilágyi N., Bobest M., Szikra T., Dobolyi A., Juhász G., Palkovits M. (2006) Concentration of nucleosides and related compounds in cerebral and cerebellar cortical areas and white matter of the human brain. Mol. Neurobiol. 26:833-844. Kovács Z., Kékesi K.A., Bobest M., Török T., Szilágyi N., Szikra T., Szepesi Z., Nyilas R., Dobolyi A., Palkovits M., Juhász G. (2005) Post mortem degradation of nucleosides in the brain: Comparison of human and rat brains for estimation of in vivo concentration of nucleosides. Neurosci. Meth. 148:88-93. Dobolyi A., Irwin S., Makara G., Usdin T.B., Palkovits M. (2005) Calcitonin gene-related peptide-containing pathways in the rat forebrain. Comp. Neurol. 489:92-119. Palkovits M., Dobolyi A., Helfferich F., Usdin T.B. (2004) Localization and chemical characterization of the audiogenic stress pathway. N. Y. Acad. Sci. 1018:16-24. LaBuda C.J., Dobolyi A., Usdin T.B. (2004) Tuberoinfundibular peptide of 39 residues produces anxiolytic and antidepressant actions. NeuroReport 15:881-885. Dobolyi A., Palkovits M., Bodnar I., Usdin T.B. (2003) Neurons containing tuberoinfundibular peptide of 39 residues project to limbic, endocrine, auditory and spinal areas in the rat. Neuroscience 122:1093-1105. Usdin T.B., Dobolyi A., Ueda H., and Palkovits M. (2003) Emerging functions for tuberoinfundibular peptide of 39 residues. Trends Endocrinol. Metab. 14:14-19. Dobolyi A., Palkovits M., Usdin T.B. (2003) Expression and distribution of tuberoinfundibular peptide of 39 residues in the rat central nervous system. Comp. Neurol. 455:547-566. Dobolyi A., Ueda H., Uchida H., Palkovits M., Usdin T.B. (2002) Anatomical and physiological evidence for involvement of tuberoinfundibular peptide of 39 residues in nociception. Natl. Acad. Sci. U. S. A. 99:1651-1656. Okumura T., Dobolyi A., Matsuyama K., Mori F., Mori S. (2000) The cat neostriatum: relative distribution of cholinergic neurons versus serotonergic fibers. Brain Dev. Suppl 11:S27-S37. Kekesi K.A., Szilagyi N., Nyitrai G., Dobolyi A., Skuban N., Kardos J. (2000) Persistent depolarization and Glu uptake inhibition operate distinct osmoregulatory mechanisms in the mammalian brain. Int. 37:171-178. Dobolyi A., Reichart A., Szikra T., Nyitrai G., Kékesi A.K., Juhász G. (2000) Sustained depolarisation induces changes in the extracellular concentrations of purine and pyrimidine nucleosides in the rat thalamus. Int. 37:71-79. Dobolyi A., Szikra T, Kékesi A.K., Kovács Zs., Juhász G. (1999) Uridine is released by depolarization and inhibits unit activity in the rat hippocampus. NeuroReport 10:3049-3053. Kardos J., Kovács I., Szárics E., Kovács R., Skuban N., Nyitrai G., Dobolyi A., Juhász G. (1999) Uridine activates fast transmembrane Ca2+ ion fluxes in rat brain homogenates. NeuroReport 10:1577-1582. Dobolyi A., Reichart A., Szikra T., Juhász G. (1998) Purine and pyrimidine nucleoside content of the neuronal extracellular space in rat. An in vivo microdialysis study. Exp. Med. Biol. 431:83-87. Dobolyi A., Reichart A., Szikra T., Szilágyi N., Kékesi A.K., Karancsi T., Slégel P., Palkovits M., Juhász G. (1998) Analysis of purine and pyrimidine bases, nucleosides and deoxynucleosides in brain microsamples (microdialysates and micropunches) and cerebrospinal fluid. Int. 32:247-265. Kékesi A.K., Dobolyi A., Salfay O., Nyitrai G., Juhász G. (1997) Slow wave sleep is accompanied by release of certain amino acids in the thalamus of cats. NeuroReport 8:1183-1186. Juhász G., Kékesi A. K., Nyitrai G., Dobolyi A., Krogsgaard-Larsen P., Schousboe A. (1997) Differential effects of nipecotic acid and 4,5,6,7-tetrahydroisoxazolo[4,5-c]pyridin-3-ol on extracellular g-aminobutyrate levels in rat thalamus. J. Pharmacol. 331:139-144. Nyitrai G., Emri Zs., Crunelli V., Kékesi A.K., Dobolyi , Juhász G. (1996) In vivo blockade of thalamic GABAB receptors increases excitatory amino acid levels. Eur. J. Pharmacol. 318:295-300. Dobolyi A., Dimitrov E., Palkovits M., Usdin T.B. (2014) The Neuroendocrine Functions of the Parathyroid Hormone 2 Receptor. In: Hubert Vaudry and Jae Young Seong, Editors, Neuropeptide GPCRs in Neuroendocrinology, Frontiers in Neuroscience, Frontiers Media SA, 2014, Pages 816-825. ISBN 978-2-88919-267-0. Kardos J., Blandl T., Kovacs I., Kekesi K.A., Reichart A., Nyitrai G., Dobolyi A., Juhasz G. (1996) Use of ligands with low nanomolar affinity for the GABA(B) receptor: Effect of CGP 55845A on the release of amino acids. In: Bowery NG, Ruffolo RR (szerk.) 3rd International GABAB Symposium. Baia Paraelios, Olaszország, 1996.09.21-1996.09.25. Amsterdam: OPA, 153-157. (Pharmacology reviews and communication; vol. 8, no. 2-3.)(ISBN:90-5702-123-4). Héja L., Kardos J., Tolnai G., Nagyné Naszályi L., Riedl Z., Palkó R., Benéné Visy J., Fitos I., Palkovits M., Dobolyi A. (2010) Nanosensor for determining the concentrations of physiologically active inorganic ions on subcellular level. Publication number: WO/2010/007451, IPC: G01N 33/84. Dobolyi A. (2012) Immunfehérjék akcióban. Kémiai Panoráma 8, 23-25. Dobolyi A. (2011) Az utódgondozás idegrendszeri szabályozása – az anyai agy. Élet és Tudomány 66, 998-1000. Dobolyi A. (2015) Neuropeptides and maternal responsiveness. Amino Acids 47(8):1638. Viktor Kis, Melinda Cservenák, Lilla Menyhárt, Dávid Keller, Árpád Dobolyi (2015) Ultrastructural analysis and postsynaptic targets of TIP39 containing thalamic fibers in the medial preoptic area of mother rats. Multinational Congress on Microscopy. Eger, Hungary. Presentation Number: L3/5. Melinda Cservenak, Éva R. Szabó, Arpad Dobolyi (2015) Spatial and temporal patterns of neurons affected by prolactin in the maternal rat brain. Biannual Conference of the Hungarian Neuroscience Society. Budapest, Hungary. Abstract Number: P1/91. Barbara Gellén, Katalin Völgyi, Balázs Györffy, Tamás Janáky, Zoltán Szabó, András Czurkó, István Hernádi, Gábor Juhász, Árpád Dobolyi, Katalin Adrienna Kékesi (2015) Proteomic investigation of the prefrontal cortex in the clomipramine model of depression. Biannual Conference of the Hungarian Neuroscience Society. Budapest, Hungary. Abstract Number: P2/48. Balázs Györffy, Dóra Madarasi, Péter Gulyássy, Viktor Kis, Katalin Völgyi, Kata Badics, Éva Forgács, Lubec Gert, Árpád Dobolyi, Gábor Juhász, Adrienna Katalin Kékesi (2015) Prenatal immune activation induced alterations in the synaptic proteome of adolescent rats. Biannual Conference of the Hungarian Neuroscience Society. Budapest, Hungary. Abstract Number: P2/72. Zsolt Kovács, Katalin A. Kékesi, Árpád Dobolyi, Renáta Lakatos, Gábor Juhász (2015) Inosine, guanosine and uridine change the absence epileptic activity in Wistar Albino Glaxo/Rijswijk rats. Biannual Conference of the Hungarian Neuroscience Society. Budapest, Hungary. Abstract Number: P1/43. 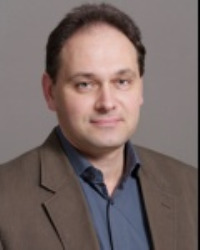 Andras Leko, Arpad Dobolyi (2015) Altered expression of insulin-like growth factor binding protein 3 in the maternal brain. Biannual Conference of the Hungarian Neuroscience Society. Budapest, Hungary. Abstract Number: P2/92. Gabriella Pál, Árpád Dobolyi (2015) Expression of Transforming Growth Factor beta receptors following MCAO in the rat brain. Biannual Conference of the Hungarian Neuroscience Society. Budapest, Hungary. Abstract Number: P1/92. Ildikó Pál, Julianna Kardos, Árpád Dobolyi, László Héja (2015) Molecular mechanisms coupling the long lasting, label-free intrinsic optical signal to short time neuronal activity. Biannual Conference of the Hungarian Neuroscience Society. Budapest, Hungary. Abstract Number: P1/28. Lilla Ravasz, Mihail Todorov, Melinda Vitéz-Cservenák, Gábor Szabó, Zója Dimitrova Katarova, Árpád Dobolyi, Adrienna Katalin Kékesi, Gábor Juhász (2015) Knocking out GAD67 from parvalbumin containing interneurons deplete gamma component of visual steady state response in the visual cortex. Biannual Conference of the Hungarian Neuroscience Society. Budapest, Hungary. Abstract Number: P1/69. Éva Rebeka Szabó, Melinda Cservenák, Thomas A. Lutz, Lőrinc Gévai, Miklós Endrényi, László Simon, Árpád Dobolyi (2015) Behavioral changes in mother and maternally sensitized female mice. Biannual Conference of the Hungarian Neuroscience Society. Budapest, Hungary. Abstract Number: P1/93. Edina Udvari, Katalin Völgyi, Balázs Györffy, Péter Gulyássy, Viktor Kis, Katalin Adrienna Kékesi, Gert Lubec, Gábor Juhász, Árpád Dobolyi (2015) Synaptic protein changes in the maternal hypothalamus. Biannual Conference of the Hungarian Neuroscience Society. Budapest, Hungary. Abstract Number: P1/90. Kékesi, A. Simor, B. Györffy, P. Gulyássy, K. Völgyi, A. Czurkó, A. Dobolyi, Z. Szabó, T. Janáky, G. Juhász (2014) Sleep deprivation and recovery sleep reshape the synaptic proteome. 9th FENS Forum of Neuroscience, Milan, Italy. Abstract Number: FENS-1751. Völgyi, K. Háden, P. Gulyássy, A. Simor, B. Györffy, K.A. Kékesi, V. Kis, E.A. Tóth, T. Janáky, B. Penke, L. Drahos, L. Tretter, A. Dobolyi, G. Juhász (2014) The b-amyloid progression effect on the proteome and function of the synaptic and non-synaptic mitochondria in app/ps1 mice brain. 9th FENS Forum of Neuroscience, Milan, Italy. Abstract Number: FENS-1718. Gyorffy, Z. Kovacs, P. Gulyássy, A. Simor, K. Völgyi, G. Orbán, P. Baracskay, Z. Szabó, T. Janáky, A. Dobolyi, G. Juhász, A. Czurkó, K.A. Kékesi (2014) Brain protein expression changes in wag/rij rats, a genetic rat model of absence epilepsy after peripheral lipopolysaccharide. 9th FENS Forum of Neuroscience, Milan, Italy. Abstract Number: FENS-1696. Gellén, P. Gulyássy, K. Völgyi, B. Györffy, A. Simor, A. Czurkó, I. Hernádi, A. Dobolyi, G. Juhász, A.K. Kékesi (2014) Proteomic investigation of the amygdala and prefrontal cortex in the clomipramine model of depression. 9th FENS Forum of Neuroscience, Milan, Italy. Abstract Number: FENS-1711. Cservenak, E.R. Szabo, M. Palkovits, T.B. Usdin, A. Dobolyi (2014) Peptidergic neuronal connection between the posterior thalamus and the hypothalamus in lactating rats. 9th FENS Forum of Neuroscience, Milan, Italy. Abstract Number: FENS-1652. Dobolyi, M. Cservenak, T. Lutz, T.B. Usdin, E.R. Szabo (2014) Amylin, induced by suckling in the preoptic area of mothers, may be involved in the control of maternal motivation. 9th FENS Forum of Neuroscience, Milan, Italy. Abstract Number: FENS-1828. Dobolyi A., Szabo E.R., Bodnar I., Leko A., Palkovits M., Nagy G.M., Usdin T.B., Cservenák (2014) A maternally induced thalamic neuropeptide mediates the effect of suckling to hypothalamic centers of maternal motivation and lactation. ACTA PHYSIOLOGICA 211 Suppl.697:142-143. Meeting of the Federation of European Physiological Societies (FEPS), Meeting Abstract: P10.4. Szabo E.R., Cservenak M., Udvari E., Dobolyi A. (2014) Induction of amylin in the preoptic area of lactating dams depends on TIP39-containing posterior thalamic neurons. ACTA PHYSIOLOGICA 211 697:144-145. Meeting of the Federation of European Physiological Societies (FEPS), Meeting Abstract: P10.10. Leko A., Dobolyi A. (2014) Insulin-like growth factor binding protein 3 in the brain of mother rats. ACTA PHYSIOLOGICA 211 697:177-178. Meeting of the Federation of European Physiological Societies (FEPS), Meeting Abstract: P15.1. Dobolyi A. (2013) A thalamic relay center affecting maternal physiology by peptidergic mechanisms. 5th Parental Brain Conference, Regensburg, Germany, S1.1. Cservenák M., Szabó É.R., Bodnár I., Lékó A., Palkovits M., Nagy M.G, Usdin T.B., Dobolyi A. (2013) Maternal motivation and lactation are affected by a the thalamic neuropeptide TIP39. 5th Parental Brain Conference, Regensburg, Germany, P19. Szabó É.R., Cservenák M., Dobolyi A. (2013) The mechanisms of induction of amylin in the preoptic area of lactating dams. 5th Parental Brain Conference, Regensburg, Germany, P93. Szabó É.R., Cservenák M., Lutz T.A., Dobolyi Á. (2013) Amylin: egy újonnan azonosított és az anyai magatartást befolyásoló neuropeptid a központi idegrendszer preoptikus területén. Magyar Anatómus Társaság 2013. Évi Kongresszusa, Budapest, S2.7. Dobolyi A. (2013) Identification of potential drug targets in postpartum depression. Conference Abstract: 14th Conference of the Hungarian Neuroscience Society (MITT), S2.3. Pál G., Vincze C.,Renner É., Wappler E.A.,Nagy Z., Lovas G.,Dobolyi A. (2013) Time course, distribution and cell types of induction of transforming growth factor betas following middle cerebral artery occlusion in the rat brain. Conference Abstract: 14th Conference of the Hungarian Neuroscience Society (MITT), P2.26. Barna J., Dobolyi A. (2013) Mapping of brain regions activated in rat pups in response to suckling. Conference Abstract: 14th Conference of the Hungarian Neuroscience Society (MITT), P4.3. Cservenák M., Szabó É.R., Bodnár I., Lékó A., Palkovits M., Nagy M.G, Usdin T.B., Dobolyi (2013) Maternal responses are impaired by antagonism of the receptor of tuberoinfundibular peptide of 39 residues Conference Abstract: 14th Conference of the Hungarian Neuroscience Society (MITT), P4.6. Lékó A., Kékesi A.K., Hunyadi-Gulyás É., Medzichradszky K., Juhász G., Dobolyi A. (2013) Genes with altered maternal expression in the medial prefrontal cortex. Conference Abstract: 14th Conference of the Hungarian Neuroscience Society (MITT), P4.18. Renner É., Dóró M., Dobolyi A., Palkovits M. (2013) Activation of neurons in the hypothalamic dorsomedial nucleus in a rat food entrainment model. Conference Abstract: 14th Conference of the Hungarian Neuroscience Society (MITT), P4.24. Szabó É.R., Cservenák, Domokos D., Dobolyi A. (2012) The maternal induction of the novel neuropeptide amylin depends on TIP39-containing posterior thalamic neurons. Conference Abstract: 14th Conference of the Hungarian Neuroscience Society (MITT), P4.27. Székely A.D., Shah I., Petróczi A., Tabet N., Klugman A., Isaac M., Dobolyi A., Naughton D.P. (2013) Serum levels of C reactive protein (CRP), human serum albumin (HSA), and glycosylated hemoglobin A1c (GhbA1c) in Alzheimer’s dementia. Conference Abstract: 14th Conference of the Hungarian Neuroscience Society (MITT), P5.16. Cservenák M., Bodnár I., Nagy G.M., Usdin T.B., Palkovits M., Dobolyi A. (2012) TIP39 neurons in the posterior thalamus are relay stations in the ascending pathway of suckling reflexes in mother rat., 8th Forum of European Neuroscience, Barcelona, Spain, FENS Abstract Vol, 4781. Szabo E.R., Cservenak M., Domokos D., Dobolyi A. (2012) Identification of amylin as a novel neuropeptide in the brain of mother rats. XXI International Semmelweis Symposium, Budapest, 2012. Orvosképzés 87(2):327. Pal G., Vincze C., Renner E., Wappler A.E., Nagy Z., Lovas G., Dobolyi A. (2012) Time course, distribution and cell types of induction of transforming growth factor betas in a rat model of ischemic stroke. XXI International Semmelweis Symposium, Budapest, 2012. Orvosképzés 87(2):315. Dobolyi A., Ostergaard E., Bagó A.G., Palkovits M., Adam-Vizi V., Chinopoulos C. (2012) Exclusive neuronal expression of SUCLA2 in the human brain. XXI International Semmelweis Symposium, Budapest, 2012. Orvosképzés 87(2):326. Cservenak M., Bodnar I., Nagy G.M., Usdin T.B., Palkovits, Dobolyi A. (2012) Posterior thalamic TIP39 neurons project to the medial hypothalamus and regulate prolactin secretion in mothers. International IBRO Workshop, Szeged 2012. Clin. Neurosci./Ideggyogy. Sz. 65(S1):14. Dobolyi A. (2012) Brain circuitry of maternal adaptations. International IBRO Workshop, Szeged Clin. Neurosci./Ideggyogy. Sz. 65(S1):16. Oral presentation.Pal G., Vincze C., Renner E., Lovas G., Dobolyi A. (2012) Differential expression pattern of TGFb 1 and 2 in neural and glial cells following MCAO in rat brain. International IBRO Workshop, Szeged Clin. Neurosci./Ideggyogy. Sz. 65(S1):52. Renner E., Puskas N., Dobolyi A., Palkovits M. (2012) Dorsomedial hypothalamic neurons are activated by glucagon- like peptide-1 of brainstem origin in satiated rats. International IBRO Workshop, Szeged Clin. Neurosci./Ideggyogy. Sz. 65(S1):55. Szabo E.R., Cservenak M., Dobolyi A. (2012) Amylin is a novel neuropeptide activated in the brain of mother rats. International IBRO Workshop, Szeged Clin. Neurosci./Ideggyogy. Sz. 65(S1):62. Vincze C., Pal G., Wappler E.A., Nagy Z., Lovas G., Dobolyi A. (2012) The time course of TGFb 1, 2 and 3 expression following focal brain ischemia. International IBRO Workshop, Szeged Clin. Neurosci./Ideggyogy. Sz. 65(S1):75. Doczi J., Madgar O., Ostergaard E., Dobolyi A., Palkovits M., Adam-Vizi V., Chinopoulos C. (2012) The impact of SUCLA2 mutations on mitochondrial phosphorylation potential, 46th Annual Scientific Meeting of the European Society for Clinical Investigation (ESCI), Budapest, Abstract No. 429. Dobolyi A., Vincze C., Pál G., Wappler A.E., Nagy Z., Lovas G. (2012) A transzformáló növekedési faktor beta 1, 2, és 3 proteinek indukciójának térbeli és időbeli lefutása fokális agyi ischemiát követően. A Magyar Élettani Társaság, a Magyar Anatómusok Társasága, a Magyar Biofizikai Társaság és a Magyar Mikrocirkulációs és Vaszkuláris Biológiai Társaság Kongresszusa, Debrecen, Abstract No. 40. Szabó É.R., Cservenák M., Dobolyi A. (2012) Egy új, anyapatkányokban aktiválódó neuropeptid, az amylin azonosítása. A Magyar Élettani Társaság, a Magyar Anatómusok Társasága, a Magyar Biofizikai Társaság és a Magyar Mikrocirkulációs és Vaszkuláris Biológiai Társaság Kongresszusa. Debrecen, Abstract No. 48. Cservenák M., Bodnár I., Nagy G.M., Usdin T.B., Palkovits M., Dobolyi A. (2012) Egy új neuromodulátor rendszer a szopási inger által kiváltott prolaktin felszabadulás szabályozásában. A Magyar Élettani Társaság, a Magyar Anatómusok Társasága, a Magyar Biofizikai Társaság és a Magyar Mikrocirkulációs és Vaszkuláris Biológiai Társaság Kongresszusa, Debrecen, Abstract No. 100. Pál G., Vincze C., Lovas G., Renner É., Dobolyi A. (2012) Transzformáló növekedési faktor-béta fehérjéket expresszáló sejtek típusának azonosítása fokális ischémiát követően patkányagyban. A Magyar Élettani Társaság, a Magyar Anatómusok Társasága, a Magyar Biofizikai Társaság és a Magyar Mikrocirkulációs és Vaszkuláris Biológiai Társaság Kongresszusa, Debrecen, Abstract No. 118. Puskás N., Dobolyi A., Renner E., Palkovits M. (2012) Agytörzsi eredetű glucagon-like peptide-1 stimulálja a dorsomedialis hypothalamus jóllakottság során aktiválódó sejtjeit patkányban. A Magyar Élettani Társaság, a Magyar Anatómusok Társasága, a Magyar Biofizikai Társaság és a Magyar Mikrocirkulációs és Vaszkuláris Biológiai Társaság Kongresszusa, Debrecen, Abstract No. 122. Cservenak M., Bodnár I., Usdin T. B., Palkovits M., Nagy G. M., Dobolyi A. (2011) A new player in the regulation of suckling-induced prolactin release in rat. 8th IBRO World Congress of Neuroscience, Florence, Italy, C151. Szabó É. R., Tombácz D., Boldogkői Z., Palkovits M., Dobolyi A. (2011) Identification of injection sites for recombinant pseudorabies virus strains injected into the auditory cortex as retrograde tracers. 8th IBRO World Congress of Neuroscience, Florence, Italy, B244. Dobolyi A., Pál G., Vincze C., Wappler E. A., Nagy Z., Lovas G. (2011) Transforming growth factor beta activation following focal ischemia in the rat brain. 8th IBRO World Congress of Neuroscience, Florence, Italy, D472. Renner E., Puskas N., Dobolyi A., Palkovits M. (2011) Glucagon-like peptide-1 of brainstem origin activates dorsomedial hypothalamic neurons in satiated rats. 8th IBRO World Congress of Neuroscience, Florence, Italy, A214. Cservenák M., Bodnár I., Usdin T. B., Palkovits M., Nagy G. M., Dobolyi A. (2011) The TIP39-PTH2 receptor system: new components in the regulation of prolactin release in lactation. Magyar Farmakológiai, Anatómus, Mikrocirkulációs és Élettani Társaságok közös Tudományos Konferenciája, Pécs. P18-01. Acta Physiologica, S684. Dobolyi A., Cservenák M., Usdin T. B., Palkovits M. (2011) Maternally activated posterior thalamic neurons possibly convey the suckling information towards hypothalamic centers. 93rd Annual Meeting of The Endocrine Society, Boston, USA. Endocr Rev 32: P3-235. Bodnár I., Toth Z. E., Dobolyi A., Oláh M., Nagy G. M. (2011) Evidence for the existence of a local sympatho-endocrine system in the adenohypophysis of mice: expression of catecholamine-synthesizing enzymes in hormone-producing cells. 93rd Annual Meeting of The Endocrine Society, Boston, USA, Endocr. Rev. 32: P1-359. Pál G., Vincze C., Wappler E.A., Nagy Z., Lovas G., Dobolyi A. (2011) Spatial and temporal patterns of induction of transforming growth factor betas following middle cerebral artery occlusion in rat. 15th Congress of the European Federation of Neurological Societies, Budapest. Cservenák M., Bodnár I., Usdin T. B., Palkovits M., Nagy G. M., Dobolyi A. (2011) Tuberoinfundibular peptide of 39 residues is activated during lactation and participates in the suckling-induced prolactin release in rat. Neurosci. Conference Abstract: 13th Conference of the Hungarian Neuroscience Society (MITT), P3.01. doi: 10.3389/conf.fnins.2011.84.00108. Pál G., Vincze C., Wappler E. A., Lovas G., Dobolyi A. (2011) The induction of TGF-βs in relation to immediate early genes following middle cerebral artery occlusion in rats. Neurosci. Conference Abstract: 13th Conference of the Hungarian Neuroscience Society (MITT), P4.15. doi: 10.3389/conf.fnins.2011.84.00012. Varga T., Mogyoródi B., Dobolyi A. (2011) Activation of paralemniscal neurons in response to noxious and maternal stimuli. Neurosci. Conference Abstract: 13th Conference of the Hungarian Neuroscience Society (MITT), P5.05. doi: 10.3389/conf.fnins.2011.84.00065. Mogyoródi B., Cservenák M., Varga T., Palkovits M., Dobolyi A. (2011) Efferent neuronal connections of the medial paralemniscal nucleus. Neurosci. Conference Abstract: 13th Conference of the Hungarian Neuroscience Society (MITT), P5.10. doi: 10.3389/conf.fnins.2011.84.00176. Szabó É. R., Tombácz D., Boldogkői Z., Palkovits M., Dobolyi A. (2011) Recombinant pseudorabies virus strains as intracranially injected retrograde tracers. Neurosci. Conference Abstract: 13th Conference of the Hungarian Neuroscience Society (MITT), P7.11. doi: 10.3389/conf.fnins.2011.84.00040. Kékesi O., Héja L., Nyitrai G., Dobolyi A., Szabó P., Palkovits M., Kardos J. (2011) Increased network activity induces tonic inhibition by emerging a glial GABA pool. Neurosci. Conference Abstract: 13th Conference of the Hungarian Neuroscience Society (MITT), P1.18. doi: 10.3389/conf.fnins.2011.84.00152. Renner É., Puskás N., Dobolyi A., Palkovits M. (2011) GLP-1 fibers of brainstem origin activate dorsomedial hypothalamic neurons in refed rats. Neurosci. Conference Abstract: 13th Conference of the Hungarian Neuroscience Society (MITT), P2.14. doi: 10.3389/conf.fnins.2011.84.00023. Dobolyi A. (2010) Central amylin expression and its potential involvement in maternal regulations. Invited lecture at the 7th International Symposia on the CGRP Family; CGRP, Adrenomedullin, Amylin, Intermedin and Calcitonin. Queenstown, New Zealand. Abstr. Vol. 1, p16. Dobolyi A. (2010) Microarray reveals robust induction of amylin in the maternal preoptic area. The 4th International Conference on The Parental Brain; Neurobiology, Behaviour and the Next Generation. Edinburgh, Scotland, UK. Abstr. Vol. 1, p65. Dobolyi A., Cservenák M., Bodnár I., Palkovits, Nagy G.M., Usdin T.B. (2010) A novel neuromodulator system in the hypothalamic regulation of prolactin release. Society for Neuroscience, 40th Ann. Meet., San Diego, CA, USA. Abstract Viewer and Itinerary Planner. 793.11 /BBB12. Cservenák M., Bodnár I., Usdin B., Palkovits M., Nagy G.M., Dobolyi A. (2010) Tuberoinfundibular peptide of 39 residues is induced in mother rats and may participate in the regulation of lactation. 7th Forum of European Neuroscience, Amsterdam, Belgium. FENS Abstr. vol 5, 055.2, 2010. Renner É., Szabó-Meltzer K.I., Puskás N., Tóth Z.E., Dobolyi A., Palkovits M. (2010) Brainstem PrRP- and GLP-1-containing projections to the refeeding activated neurons of the hypothalamic dorsomedial nucleus of fasted rats. International IBRO Workshop, Pécs. Frontiers in Systems Neuroscience. Conference Abstract: IBRO International Workshop 2010. doi: 10.3389/conf.fnins.2010.10.00120. Bagó A.G., Dimitrov E., Saunders R., Seress L., Palkovits M., Usdin T.B., Dobolyi A. (2010) Neurochemical investigations on parathyroid hormone 2 receptor-immunoreactive neurons in the human and macaque hypothalamus and brainstem. International IBRO Workshop, Pécs. Frontiers in Systems Neuroscience. Conference Abstract: IBRO International Workshop 2010. doi: 10.3389/conf.fnins.2010.10.00076. Vincze C., Pál G., Wappler E.A., Nardai S., Nagy Z., Lovas G., Dobolyi A. (2010) Transforming growth factor beta isoforms in intact rat brain and following middle cerebral artery occlusion. International IBRO Workshop, Pécs. Frontiers in Systems Neuroscience. Conference Abstract: IBRO International Workshop 2010. doi: 10.3389/conf.fnins.2010.10.00070. Dobolyi A. (2010) Robust induction of amylin in the preoptic area of mother rats: a microarray study validated by RT-PCR, in situ hybridization, and immunohistochemistry. International IBRO Workshop, Pécs. Frontiers in Systems Neuroscience. Conference Abstract: IBRO International Workshop 2010. doi: 10.3389/conf.fnins.2010.10.00083. Szabó É.R., Domokos D., Boldogkői Z., Palkovits M., Dobolyi A. (2010) Testing of the application of different genetically engineered pseudorabies virus strains as intracranially injected retrograde tracers. International IBRO Workshop, Pécs. Frontiers in Systems Neuroscience. Conference Abstract: IBRO International Workshop 2010. doi: 10.3389/conf.fnins.2010.10.00262. Renner É., Szabó-Meltzer K.I., Puskás N., Tóth Z.E., Dobolyi A., Palkovits M. (2010) Brainstem PrRP- and GLP-1-containing projections mediate satiety-induced activation of neurons in the hypothalamic dorsomedial nucleus of rats. The 7th International Congress of Neuroendocrinology, Rouen, France. No. P2-151, p268. Dobolyi A., Cservenák M., Bodnár I., Palkovits, Nagy G.M., Usdin T.B. (2010) Anatomical and functional evidence for the involvement of tuberoinfundibular peptide of 39 residues in the regulation of suckling-induced prolactin release. The 7th International Congress of Neuroendocrinology, Rouen, France. No. O-16, p70. Cservenák M., Bodnár I., Usdin B., Palkovits M., Nagy G.M., Dobolyi A. (2010) Intracerebroventricular injection of a parathyroid hormone 2 receptor antagonist abolishes suckling induced prolactin release. International IBRO Workshop, Pécs. Frontiers in Systems Neuroscience. Conference Abstract: IBRO International Workshop 2010. doi: 10.3389/conf.fnins.2010.10.00081. Balázsa T., Lourmet G., Dóczi T., Dobolyi A., Palkovits M. (2010) Post-mortem degradation of selected proteins in the human brain. International IBRO Workshop, Pécs. Frontiers in Systems Neuroscience. Conference Abstract: IBRO International Workshop 2010. doi: 10.3389/conf.fnins.2010.10.00194. Dobolyi A. (2009) Central amylin expression and its involvement in the regulation of maternal behaviours. Neuropeptides, 19th Neuropharmacology Conference, Chicago, USA. Dobolyi A., Vincze C., Wappler E., Nardai S., Nagy Z., Lovas G. (2009) Distribution of mRNAs encoding transforming growth factor beta 1, 2 and 3 in the normal and ischemic rat brain. Soc. for Neurosci., 39th Meet., Chicago, USA. 737.11/N16. Elekes K., Balog G., Kiss T., Hernádi L., Voronezhskaya E.E., Dobolyi A., Palkovits M. (2009) Innervation principles of the peripheral feeding system in gastropods: Aminergic and peptidergic modulation. Soc. for Neurosci., 39th Meet., Chicago, USA. 316.11/B101. Renner É., Szabó-Meltzer K.I., Puskás N., Tóth Z.E., Dobolyi A., Palkovits M. (2009) Activation of neurons in the hypothalamic dorsomedial nucleus via solitary-hypothalamic ascending projections following refeeding of fasted rats. Neuropeptide Festival, Meeting of the European Neuropeptide Club and the Summer Neuropeptide Conference, Salzburg, Austria. Cservenák M., Palkovits, Usdin T.B., Dobolyi A. (2009) Activation of posterior thalamic TIP39 neurons in mother rats. Neuropeptide Festival, Meeting of the European Neuropeptide Club and the Summer Neuropeptide Conference, Salzburg, Austria. Dobolyi A. (2009) Induction of amylin expression in the preoptic area of mother rats revealed in a microarray experiment with multiple validations. Neuropeptide Festival, Meeting of the European Neuropeptide Club and the Summer Neuropeptide Conference, Salzburg, Austria. Renner É., Szabó-Meltzer K.I., Puskás N., Dobolyi A., Tóth Z.E., Palkovits M. (2009) Prolactin-releasing peptide-containing neurons in the nucleus of the solitary tract activate neurons in the hypothalamic dorsomedial nucleus in response to refeeding of fasted rats. 12th Conf. Hung. Neurosci. Soc. (MITT), Budapest. Frontiers in Systems Neuroscience. Conference Abstract: 12th Meeting of the Hungarian Neuroscience Society. doi: 10.3389/conf.neuro.01.2009.04.117. Cservenák M., Usdin T.B., Palkovits M., Dobolyi A. (2009) Activation of TIP39 neurons in the lateral subparafascicular area of mother rats. 12th Conf. Hung. Neurosci. Soc. (MITT), Budapest. Frontiers in Systems Neuroscience. Conference Abstract: 12th Meeting of the Hungarian Neuroscience Society. doi: 10.3389/conf.neuro.01.2009.04.007. Dobolyi A. (2009) Amylin mRNA in the rat brain: induction of its expression in the preoptic area of rat dams. 12th Conf. Hung. Neurosci. Soc. (MITT), Budapest. Frontiers in Systems Neuroscience. Conference Abstract: 12th Meeting of the Hungarian Neuroscience Society. doi: 10.3389/conf.neuro.01.2009.04.008. Balázsa T., Dobolyi A., Palkovits M. (2009) Effects of post-mortem delay on protein levels of human brain samples. 12th Conf. Hung. Neurosci. Soc. (MITT), Budapest. Frontiers in Systems Neuroscience. Conference Abstract: 12th Meeting of the Hungarian Neuroscience Society. doi: 10.3389/conf.neuro.01.2009.04.251. Bagó A.G., Dimitrov E., Saunders R., Seress L., Palkovits M., Usdin T.B., Dobolyi A. (2009) Parathyroid hormone 2 receptor and its endogenous ligand TIP39 in the brain of macaque and human. 12th Conf. Hung. Neurosci. Soc. (MITT), Budapest. Frontiers in Systems Neuroscience. Conference Abstract: 12th Meeting of the Hungarian Neuroscience Society. doi: 10.3389/conf.neuro.01.2009.04.001. Bagó A., Dobolyi A., Dimitrov E., Saunders R., Seress L., Palkovits M., Usdin T.B. (2009) A parathormon-2-receptor (PTH2R) és ligandjának (TIP39) kimutatása emberi és majom agyban. A Magyar Anatómus Társaság 15. Kongresszusa, Budapest. Cservenák M., Usdin T.B., Palkovits M., Dobolyi A. 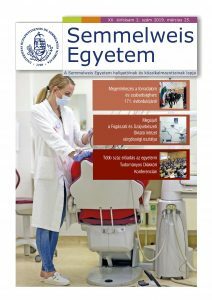 (2009) TIP39-neuropeptidet szintetizáló idegsejtek a posterior intralamináris talamikus magokban: aktiválódás szoptatós anya patkányokban. A Magyar Anatómus Társaság 15. Kongresszusa, Budapest. Dobolyi A. (2009) Transzformáló növekedési faktor beta fehérjék mRNS expresszója és eloszlása patkány agyban. A Magyar Anatómus Társaság 15. Kongresszusa, Budapest. Varga T., Palkovits M., Usdin T.B., Dobolyi A. (2009) A mediális paralemniszkális mag és afferens kapcsolatai. A Magyar Anatómus Társaság 15. Kongresszusa, Budapest. Renner É., Puskás N., Tóth Z.E., Dobolyi A., Palkovits M. (2009) Éhezést követő újraetetés hatására aktiválódnak a dorsomediális hypothalamus idegsejtjei, és az aktivációs szignált a nucleus tractus solitarii-ből eredő felszálló rostok közvetítik. A Magyar Anatómus Társaság 15. Kongresszusa, Budapest. Varga T., Palkovits M., Usdin T.B., Dobolyi A. (2009) Identification and characterization of the medial paralemniscal nucleus and its neuronal connections in rat. LXXII. Meeting of the Hungarian Physiological Society, Debrecen. Acta Physiol. Hung. 96, 144. Dobolyi A., Bagó A.G., Seress L., Usdin T.B., Palkovits M. (2008) Parathyroid hormone 2 receptor in the human brain – a combined RT-PCR and fluorescent amplification immunocytochemistry study. BrainNet Europe 2nd International Conference on Human Brain Tissue Research, Munich, Germany. J. Neural Transm. 115(12), 1730. Dobolyi A. (2008) Activation of brain areas in maternally behaving rats. 6th Forum of European Neuroscience, Geneva, Switzerland. FENS Vol 4, 026.4. Varga T., Palkovits M., Usdin T.B., Dobolyi A. (2008) Afferent neuronal connections of the medial paralemniscal nucleus in rat. International IBRO Workshop on Complex Neural Networks, Debrecen. Neurosci. 61, Suppl. 1, 66. Bagó A.G., Palkovits M., Usdin T.B., Seress L., Dobolyi A. (2008) Mapping of the parathyroid hormone 2 receptor in human diencephalon and brainstem. International IBRO Workshop on Complex Neural Networks, Debrecen. Neurosci. 61, Suppl. 1, 13. Dobolyi A. (2008) Distribution of mRNAs encoding transforming growth factor beta 1, 2 and 3 in the rat brain. International IBRO Workshop on Complex Neural Networks, Debrecen. Neurosci. 61, Suppl. 1, 23. Dobolyi A., Palkovits M. (2007) Latent transforming growth factor beta binding protein-2 is expressed selectively in orexin neurons in the rat hypothalamus. 7th International Brain Research Organization (IBRO) World Congress of Neuroscience, Melbourne, Australia, Program No. Fri-162, p139. Varga T., Palkovits M., Usdin T.B., Dobolyi A. (2007) Identification and characterization of the medial paralemniscal nucleus in the lateral pontomesencephalic tegmentum of the rat. 11th Conf. Hung. Neurosci. Soc. (MITT), Szeged. Neurosci. 60, Suppl. 1, 68. Brenner D., Palkovits M., Usdin T.B., Dobolyi A. (2007) Distribution of tuberoinfundibular peptide of 39 residues in the rat brain during early development. 11th Conf. Hung. Neurosci. Soc. (MITT), Szeged. Clin. Neurosci. 60, Suppl. 1, 12. Dobolyi A., Palkovits M. (2007) Localization of latent transforming growth factor beta binding protein expression in the rat central nervous system. 11th Conf. Hung. Neurosci. Soc. (MITT), Szeged. Clin. Neurosci. 60, Suppl. 1, 17. Dobolyi A., Usdin T.B., Palkovits M. (2006) CGRP pathways in the forebrain of rats. International IBRO Workshop on Regulatory mechanisms of synaptic transmission in the central nervous system. Budapest. Neurosci. 59, Suppl. 1, 20. Dobolyi A., Irwin S., Rotgers A.C., Usdin T.B. (2004) Transient expression of tuberoinfundibular peptide of 39 residues during maturation in the rat. Soc. for Neurosci., 34th Meet., San Diego, USA. Abstract Viewer and Itinerary Planner. Washington, DC: Society for Neuroscience. Program No. 758.15. Wang J., Palkovits M., Dobolyi A., Usdin T.B. (2004) Afferent and efferent neuronal connections of the rostral subdivision of the subparafascicular nucleus (SPF) in rat. Soc. for Neurosci., 34th Meet., San Diego, USA. Abstract Viewer and Itinerary Planner. Washington, DC: Society for Neuroscience. Program No. 988.19. Dobolyi A., Palkovits M., Usdin T.B. (2004) Distribution of mRNAs encoding latent transforming growth factor binding proteins in the rat brain. Ann. Meet. of the Am. Soc. for Neurochem., New York. J. Neurochem. 90, Suppl. 1, 77. Helfferich F., Dobolyi A., Usdin T.B., Palkovits M. (2004) The participation of the Tip-39-containing neurons in the audiogenic stress response. Innner Ear Biology (IEB) Workshop, O19, Debrecen, Hungary. Otorhinolaryngologia Hungarica Suppl. 50(2), 192. Palkovits M., Dobolyi A., Helfferich F., Usdin T.B. (2003) Localization and chemical characterization of the audiogenic stress pathway. Reg. Suppl. 37, 123. Dobolyi A., Palkovits M., Bodnar I., Usdin T.B. (2003) The localization and projections of TIP39 neurons suggest limbic, endocrine, auditory and nociceptive functions of the neuropeptide. Soc. for Neurosci., 33th Meet., New Orleans, USA. Abstract Viewer and Itinerary Planner. Washington, DC: Society for Neuroscience. Program No. 889.23. Dobolyi A., Palkovits M., Mezey E., Usdin T.B. (2002) Distribution of tuberoinfundibular peptide of 39 residues (TIP39) in the central nervous system. Soc. for Neurosci., 32th Meet., Orlando, USA.Abstract Viewer and Itinerary Planner. Washington, DC: Society for Neuroscience. Program No. 849.21. Juhász G., Slezia A., Kékesi A.K., Papp A., Szikra T., Dobolyi , Kardos J. (2001) Uridine: novel candidate for endogenous cytoptotection in epileptic seizures. Soc. for Neurosci., 31th Ann. Meet., San Juan, USA. Abstract Viewer and Itinerary Planner. Washington, DC: Society for Neuroscience. Program No. 908.5. Dobolyi A., Palkovits M., Mezey E., Usdin T.B. (2001) Distribution of mRNA encoding the peptide neuromodulator candidate TIP39 in the nervous system. Soc. for Neurosci., 31th Meet., San Juan, USA. Abstract Viewer and Itinerary Planner. Washington, DC: Society for Neuroscience. Program No. 30.6. Dobolyi A., Okumura T., Mori F., Matsuyama K., Mori S. (2001) Acetylcholinesterase positive neurons in the lumbar spinal cord of the developing and adult rat. 2001 Okazaki COE International Symposium, Okazaki, Japan. Okumura T., Matsuyama K., Dobolyi A., Mori F., Mori S., Ogawa T. (2000) Serotonergic innervation of output neurons in the caudate nucleus of the cat. Soc. for Neurosci., 30th Meet., New Orleans, USA. Abstract Viewer and Itinerary Planner. Washington, DC: Society for Neuroscience. Program No. 361.4. Dobolyi A., Kékesi A.K., Juhász G. (2000) Uridin és adenozin neuronális aktivitás-mintázatokra és extracelluláris metabolitszintekre kifejtett hatása. MITT, Budapest. Kovács Zs., Szilágyi N., Kékesi A.K., Dobolyi A., Juhász G., Palkovits M. (2000) A nukleozidok megoszlása a humán agy cerebellaris valamint cerebralis kéreg- és fehérállományban. MITT, Budapest. Dobolyi A., Kékesi A.K., Juhász G. (2000) Uridine as a potential neuromodulator: it is released by depolarization and inhibits unit activity in rat hippocampus. 2nd Forum of European Neuroscience (FENS), Brighton, UK. Eur. J. Neurosci. Suppl. 11, 468. Okumura T., Dobolyi A., Mori F., Matsuyama K., Mori S. (2000) Acetylcholinesterase positive neurons in the developing rat lumbar spinal cord. Joint Meetings of the 23rd Annual Meeting of the Japan Neuroscience Society and the 10th Annual Meeting of the Japanese Neural Network Society, Yokohama, Japan. Neurosci. Res. Suppl. 24, S148. Okumura T., Dobolyi A., Matsuyama K., Kakigi R., Mori S. (1999) Cholinergic and serotonergic interactions in the caudate nucleus of the cat: relation to behavioral control. 22nd Annual Meeting of the Japan Neuroscience Society, Osaka, Japan. Neurosci. Res. Suppl. 23, S197. Juhász G., Dobolyi A., Szikra T., Kékesi A.K., Reichart A. (1999) Sustained depolarization changes nucleoside microenvironment and the released uridine has neuromodulatory action. Soc. for Neurosci., 29th Meet., Miami Beach, USA. Soc. Neurosci. Abstr. 25, 756. Okumura T., Dobolyi A., Matsuyama K., Mori S. (1999) Cholinergic and serotonergic interactions in the caudate nucleus in relation to behavioral control in cats. Soc. for Neurosci., 29th Meet., Miami Beach, USA. Soc. Neurosci. Abstr. 25, 1155. Dobolyi A., Szikra T., Reichart A., Slézia A., Szatmári E., Kékesi A.K., Juhász G. (1999) A depolarizációra felszabaduló uridin gátolja a neuronális aktivitást. (előadás) MITT, Harkány-Pécs. Dobolyi A., Reichart , Szikra T., Karádi Z., Varjú G., Egyed R., Juhász G. (1998) Release of pyrimidines from brain upon depolarisation and their possible implication in cell-cell communication. 1st Forum of European Neuroscience (FENS), Berlin, Germany. Szikra T., Dobolyi A., Reichart A., Kékesi A.K., Juhász G. (1998) Nucleoside content in the extracellular space of the rat brain. An in vivo microdialysis study. 1st Forum of European Neuroscience (FENS), Berlin, Germany. Eur. J. Neurosci. Suppl. 10, 14825. (ISSN: 0953-816X). Dobolyi A., Szikra T., Reichart A., Karádi Z., Varjú G., Egyed R., Nyitrai G., Kékesi A.K., Szilágyi N., Juhász G. (1998) Release of nucleosides upon different types of depolarisation: possible new compounds in cell-cell communications in the nervous system (oral presentation), 5th Annual Meeting of the Hungarian Neuroscience Society, Debrecen. Neurobiology Suppl. 6(2), 181-182. Dobolyi A., Szikra T., Kékesi A.K., Nyitrai G., Szilágyi N., Reichart A, Palkovits M., Juhász (1998) Collective release of nucleosides in the brain: a possible new neuronal protective mechanism against sustained excitation induced cell death. 4th Int. Cong. of the Worldwide Hungarian Medical Academy (WHMA), Budapest, Hungary. Szikra T., Kovács Z., Sümeg R., Palkovits M., Juhász G., Dobolyi A. (1998) Measurement of nucleosides and their related compounds of histological, liquor and microdialysis samples. 5th Conf. Hung. Neurosci. Soc. (MITT), Debrecen. Neurobiology 6(2):257. Kékesi A.K., Matsuyama K., Mori S., Dobolyi A., Juhász G. (1997) Extracellular monoamine and amino acid levels in the caudate nucleus, thalamic nuclei (VA/VL) and pontine reticular formation in the freely moving cat. 20th Annual Meeting of the Japan Neuroscience Society, Sendai, Japan. Neurosci. Res. Suppl. 21, S182. Dobolyi A., Reichart A., Szikra T., Juhász G. (1997) Purine and pyrimidine nucleoside content of the neuronal extracellular space in rat. An in vivo microdialysis study. 9th/6th European Joint Symposium on Purine & Pyrimidine Metabolism in Man, Gmunden, Austria. Reichart A., Szikra T., Dobolyi A., Szilágyi N., Karancsi T., Slégl P., Juhász G. (1997) Purin és pirimidin nukleozidok és dezoxinukleozidok kromatográfiás analízise in vivo agyi mikrodialízis mintákból. MITT, Gödöllő. Dobolyi A., Szikra T., Reichart A., Karancsi T., Slégl P., Juhász G. (1997) Purin és pirimidin nukleozidok és dezoxinukleozidok a talamikus extracelluláris térben. (előadás), MITT, Gödöllő. Dobolyi A., Reichart A., Kékesi A.K., Juhász G. (1996) UV detektálható anyagok talamikus extracelluláris térbeli koncentráció-változásai alvás-ébrenléti ciklus alatt. (előadás), MITT, Balatonfüred. Dobolyi A., Reichart A., Kékesi A.K., Juhász G. (1996) Synchronization dependent changes in concentration of UV detectable compounds in the thalamic extracellular space. 18th Meeting of European Neurosci. Association (ENA), Strasbourg, France. Dobolyi A., Kékesi A.K., Juhász G. (1995) Data suggesting that sleep has an equivalent in brain metabolism. Changes in amino acids and extracellular metabolites. Word Federation of Sleep Research Societies (WFSRS), Nassau, The Bahamas. Dobolyi , Juhász G. (1993) Discussion of a model. How do microdialysis probes work? 1st Workshop on Neurosci. in Central Europe, Budapest, Hungary. Juhász G., Kékesi A.K., Salfay O., Dobolyi A., Nyitrai G. (1992) Elevation in extracellular amino acid concentrations in the thalamus during synchronized EEG activity. 16th Meeting of European Neurosci. Association (ENA), Munich, Germany, Eur. J. Neurosci. Suppl. 5, 206 (ISSN: 0953-816X). Kékesi A.K., Dobolyi A., Salfay O., Nyitrai G., Juhász G. (1992) A putative glial GABA uptake blocker, THPO promotes sleep and modifies extracellular amino acid concentrations in VPL. 16th Meeting of European Neurosci. Association (ENA), Munich, Germany, Eur. J. Neurosci. Suppl. 5, 131 (ISSN: 0953-816X).